You’ll soon be able to check notifications from your Android device directly on your Windows 10 PC. At last week’s Build 2016 conference, Microsoft presented this functionality to users worldwide. Apparently, Android’s version of Cortana will be on the backend, something that will allow users to dismiss their notifications as well. Microsoft’s virtual assistant is already available on Android but it’s not as powerful as the Windows 10 version, with Cortana able to display notifications about messages and calls from your Windows 10 Mobile device on you PC — with more improvements to plannede. Of course, Microsoft will eventually bring more features and updates to Cortana for Android, and we expect cross-platform notifications to be among first. Microsoft didn’t reveal when exactly this improvement will land on Cortana on Android, be we expect it to arrive with the Anniversary update along with many other promised improvements for Microsoft’s virtual assistant. Cortana is the main engine of Microsoft’s cross-platform compatibility focus for Windows 10. The virtual assistant was originally available on Windows 10 Preview and Windows Phone 8.1 only but since the full release of the system, Microsoft has started to prepare Cortana for a wider range of devices, with the aim to bring Windows 10’s presence to almost all our devices. Microsoft will, of course, start with its own products. Cortana for Xbox is already confirmed and we should expect it with the Anniversary Update. Cortana’s availability on Xbox will bring integration between two platforms to a whole new level, as users would need just one device to access another. Microsoft won’t stop at its own devices, with Cortana for Android receiving significant improvements. We expect the ability to see Android notifications on Windows 10 to be just a starting point, and that Microsoft will bring even more options in the future. Microsoft has been trying to leave a bigger mark on Android platform for a long time now. The company planned to bring Android apps to Windows 10 with Project Astoria, but things didn’t end up well, and the bridge was discontinued. Cortana is now Microsoft’s only chance to have a bigger presence on its rival’s platform, and the company puts a lot of effort in it. 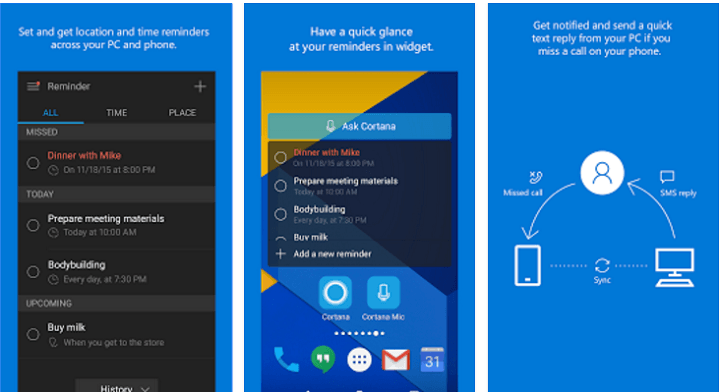 As we said, Android isn’t the only platform Microsoft plans to integrate with Cortana. There’s a possibility that we’ll reach the point where we will be able to control all our everyday devices with Microsoft’s assistant — we already know that Cortana is coming to our home appliances and cars.